Farnborough is a town in northeast Hampshire and is part of the Farnborough/Aldershot built-up area, included within the borough of Rushmoor. With the town best known for its association with aviation, Farnborough plays host to the Fanborough International Airshow every other year in July. During a weeklong event, it combines major trade exhibitions for the aerospace and defense industries with a public airshow. The first four days are exclusively dedicated to trade after which the event becomes open to the public. This event is extremely important because it provides an opportunity for the international aerospace and defence industry to demonstrate civilian and military aircrafts to potential customers and investors. In addition to the airshow, Farnborough is also home to the Farnborough Aerodrome, Royal Aircraft Establishment, and the Air Accidents Investigation Branch. 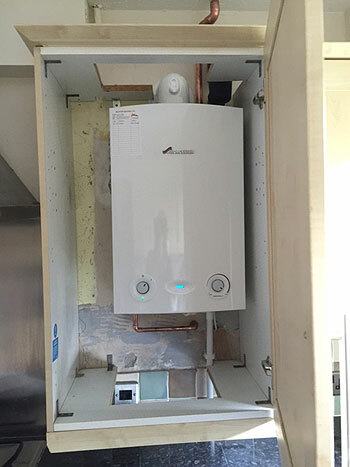 Farnborough has access to gas on the grid, and for properties with gas-based central heating installations, our technicians offer professional consultation services for your individual situation, whether you are installing a new heating system or want to check the efficiency of your current central heating system. Buxton Heatings’ technicians provide you with a written report that illustrates your system and complies with current legislation and safety guidelines. For alternative heating systems such as log burners and solar system heating used in properties in Farnborough, we offer the installation of Thermal Heat Stores which enable you to store any heat generated in your home to be used for central heating or hot water. This is cost efficient, more sustainable and has become a more popular choice for homeowners.